The Lord is stubborn in His pursuit of our devotion. His love is relentless and sacrificial. 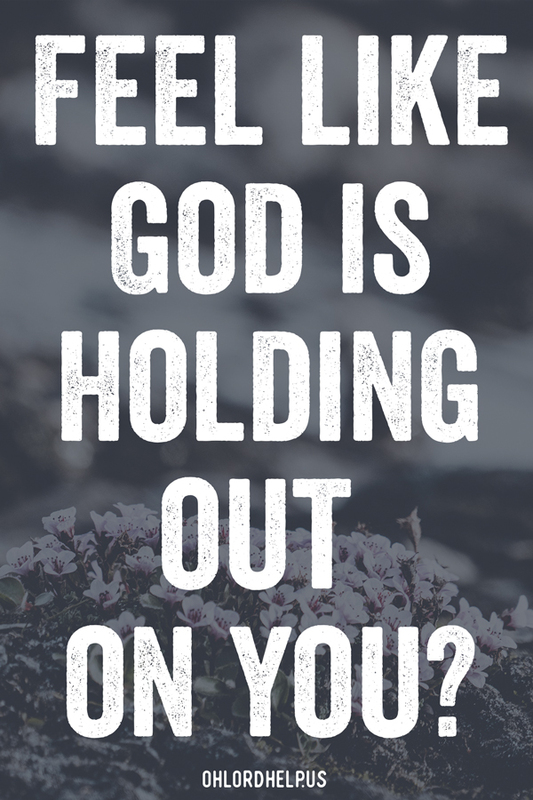 He knows the pain we carry and is waiting for us to trust Him. “You need to get off the table,” I spoke as calmly as humanly possible. Deep breaths. Preparing for what was to come. We were on day 3 of having our foster son. It felt like day 103. My seven-year-old had been sitting at the table coloring, quietly observing the interaction that was taking place. The tray had been thrown, and he didn’t hesitate. He immediately got up from the table, picked up the tray, and calmly set it back on the table before sitting back down. The tray was thrown again, with even more effort. A second time, he stood up, got the tray, and set it on the table. A third time. A fourth time. Even a fifth time. Each time he was so calm. Each time, he was showing love to him. I stood there in complete awe. Never before have I seen such a tangible and applicable way to show love the way Christ shows love. Continuous love, resilient love, stubborn love. My son would have kept coming back to serve him in such a simple way as many times as were needed. The Lord does the same for us. After my son picked up the tray five times, and the game pieces following that, I found myself in a final stand-off situation with our foster son. We both had a grip on the next object that was going to feel his wrath. After seeing the example of my son, and praying for wisdom on how to respond, I looked him in the eyes and said, “We will not stop being nice to you.” At that, he let go and got off the table. He then proceeded to go under the table to silently sob. He is only 4 and a half, Y’all. To have been done wrong so much in his so few years, no wonder he is ticked off and looking for a fight. I sat down on the floor, his back to me. I said, “I know you’re mad, and it is ok.” Then I asked, “Can I hug you?” He didn’t say no, so I pulled him onto my lap and swayed to the music that was on in the background. He let me hold him like that for nearly 5 minutes. Those five minutes changed everything. Tears were streaming down my face as I held him; my 7-year-old sitting nearby and smiling sweetly at me. Jesus lived this out to the ultimate sacrifice. His oppressors were beating him, ridiculing him, killing him. His response was to advocate forgiveness from the Father for them. The Lord has been relentlessly pursuing us with stubborn love from the earliest of days. Preparing a way when there was no way. He has been fighting for us, even having to fight us in order to earn our devotion back. 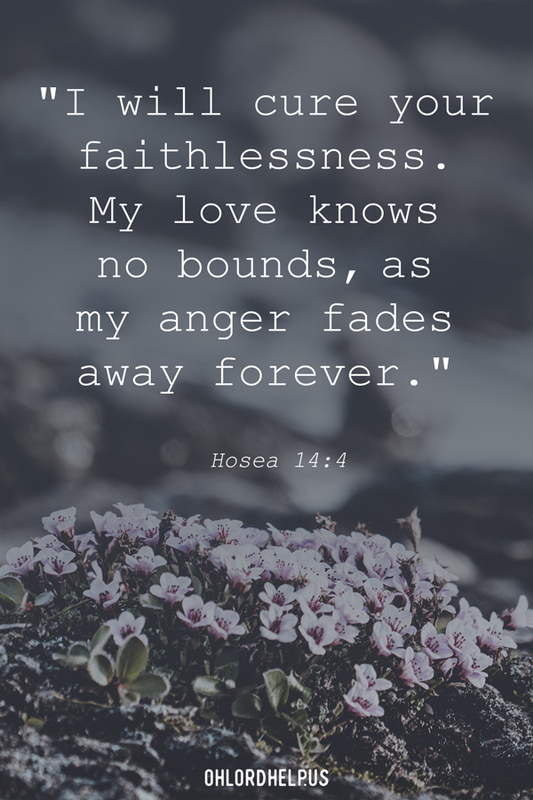 The book of Hosea is a heart-wrenching, but beautiful love story of how the Lord pursues His people. What a godly man Hosea was! He lived out a true-to-life analogy of what relentless love looks like. He married a woman he knew would be unfaithful. Repeatedly, she would run off with other men. Repeatedly, Hosea would go and bring her home. The book shows all of God’s emotions in this pursuit. Through all of it, He had a plan of redemption. A way to restore His people. But in His mercy, He still leaves the choice to us. But there is an end, isn’t there? Oh Lady, please hear my heart. I so desperately want you to know the love our Lord has for you. It is not to condemn you, it is to bring you freedom. Life. He knows you are angry, hurt, scared. And it is ok. I implore you to turn from the lie that God is holding out on you. Run into His arms. Feel the security of His embrace. All scripture is quoted from the New Living Translation. Rachel, I so needed to hear this today. Thank you for sharing the words He gives to you.